Looking for a simple Western meal to satiate your appetite? 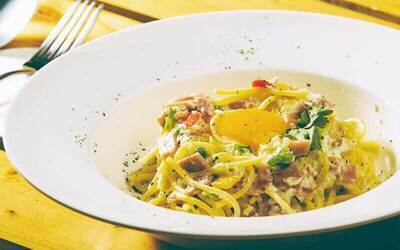 If yes, indulge in this deal of a 2-course meal at CBC Coffee & Bread Cafe. With an option to choose between four different dishes, you are sure to get something that your taste buds would like. Wash down your meal with a selection of drinks available for this deal, which are Americano, latte, and ice lemon tea. Valid Tue - Sun: 11am - 11pm (not including public holidays). Top up RM2 for flavour coffee or RM5 for fresh juice and flavour blended.